This article describes 2 ways to schedule a block session in advance - "start later" sessions and "recurring session"
2. Recurring Session: Create a schedule for a recurring session - one that repeats on certain days. 2. Select the Sessions tab at the bottom. 4. Name your session and select when your session Starts and Ends. 6. 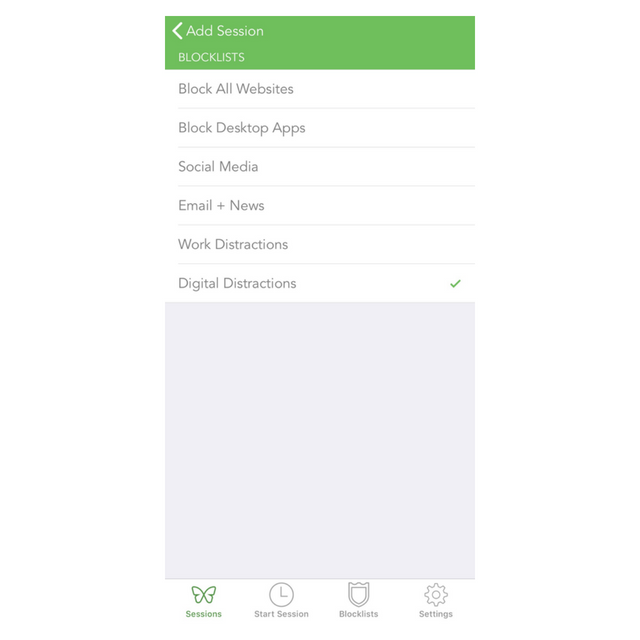 Select the blocklists you’d like to include in your block session. 7. 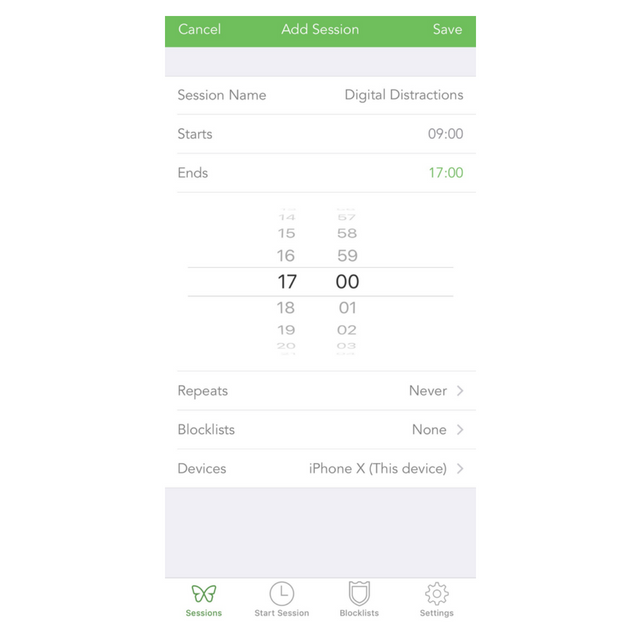 Select which devices you’d like to include in your block session. 1. Launch the Freedom app and log in at Freedom.to/log-in. 2. On the dashboard, select Recurring session. 3. 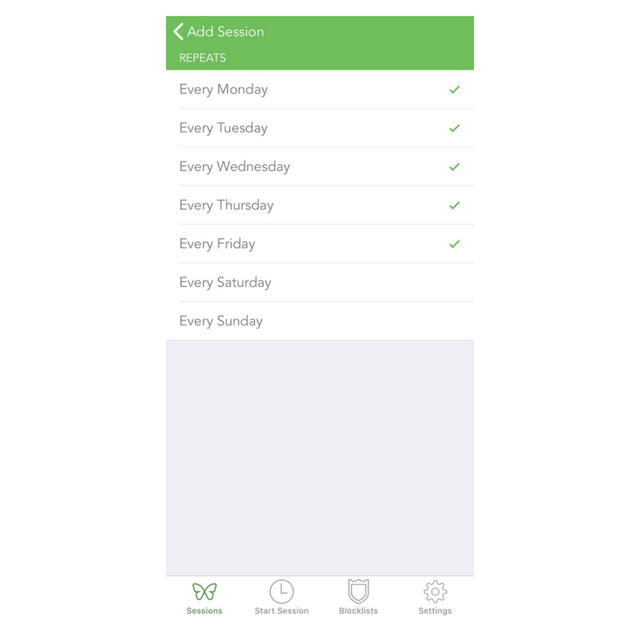 Select a Start and End time for your session and on which days you want the session to repeat. 4. 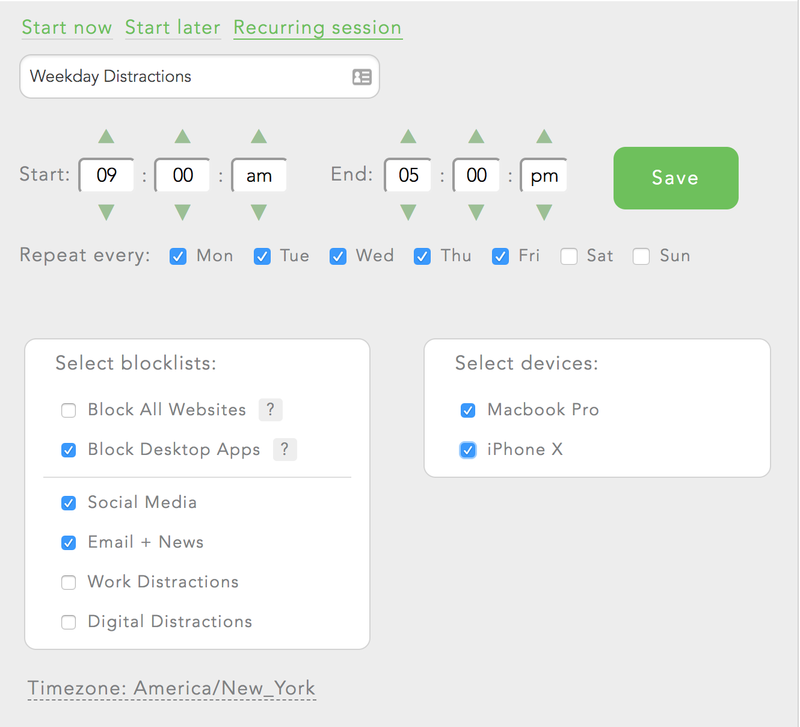 Select what blocklists and devices you want to include in your recurring session. 1. Launch Freedom app and log in. 5. Select on which days you want the block to repeat. 7. Select the devices you'd like to include.